Does gluten cause neuropathy? 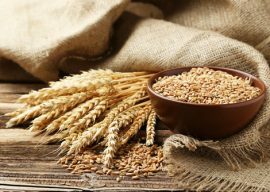 Gluten is a substance found in cereal grains, such as wheat. Approximately 10 percent of people with Celiac disease (a digestive disease that damages the small intestine and interferes with absorption of nutrients from food) develop neurologic symptoms, according to the Center for Peripheral Neuropathy. In people with a gluten sensitivity, eating foods with gluten protein triggers an autoimmune reaction. The body attacks the gluten with antibodies in the same way that antibodies attack viruses. This damages the intestines. Intestinal damage inhibits absorption of nutrients, often leading to nutrient deficiencies. Vitamin deficiencies could be to blame for gluten intolerance. Neuropathy, or peripheral neuropathy, describes a range of disorders characterized by nerve damage to one or more nerves outside of the brain and spinal cord. Often the cause of the neuropathy is unknown, though autoimmune diseases and vitamin deficiencies are some of the potential causes, according to the Mayo Clinic. Gluten neuropathy is when the autoimmune response is the root cause of the nerve damage. A study published in Muscle & Nerve journal in December 2006 found that participants with neuropathy who followed a no-gluten diet showed significant improvement in symptoms after one year. The control group reported worsening of symptoms. People who have a gluten intolerance do not respond to simple allergy tests like someone with a milk or nut allergy might. The gentlest way to figure out if someone is sensitive to gluten is dietary therapy. Avoid gluten for several weeks, then reintroduce it and observe any reactions. Once it is known that a person has a problem with gluten, the best course of action is abstinence. People with any degree of gluten sensitivity or intolerance should completely give it up. This means not only avoiding obvious foods like bread and pasta, but also foods like soy sauce and licorice that contain small amounts of wheat. Fortunately, there are many alternatives. Pastas made with rice flour or quinoa don't have gluten in them. Rice bread can replace bread made from grains containing gluten. Buckwheat flour contains no gluten and works well for pancakes. Some companies even make soy sauce that doesn't use wheat in the ingredients. It is simply a matter of reading labels and shopping around.